Incredible snorkelling opportunities abound on Heron Island, and it’s the most popular of all guest activities at Heron Island Resort. Whether you’re a amask and flipper novice or a more experienced diver, you’ll find plenty to marvel at just below the waters off Heron Island. Learn more about our snorkelling tour programmes below. Complimentary snorkelling lessons are conducted daily at 4:15 pm in the swimming pool. Booking is essential. You’ll require a mask, snorkel and fins to participate, which are available at the Marine Centre. Being right on the Great Barrier Reef means that you can snorkel off the beach. If you haven’t snorkelled before or would like to practice, try Shark Bay (named after the harmless Shovel Nose Ray) or from the Gantry just in front of the Pandanus Lounge. Snorkelling in the harbour is not allowed between 8 am and 5:30 pm due to boat traffic. It is best two hours before and after high tide from the Gantry and Shark Bay. Tide times are posted in the daily “Heron Times” or displayed outside the Marine Centre. Enjoy one of our three daily (9 am, 11 am and 2:30 pm) snorkel tours offering a kaleidoscope of coloured fish and coral on Heron and Wistari Reefs, all within easy reach of Heron Island. Novice snorkellers are strongly encouraged to take advantage of a snorkel lesson at 2 pm daily. A minimum age restriction of 8 years applies, and children 8-14 must be accompanied by an adult. We require a minimum of 4 participants per departure.  The Heron Island Marine Centre offers a range of quality snorkelling gear to borrow (included in room cost) or to purchase. Wetsuit selection includes 4 mm shorties for the warm summer months, to 7 mm full-length suits for the colder months. N.B. All prices are per person, per day. Any snorkel gear not returned on your check out date or returned damaged will incur a charge equal to the cost of the equipment. Naturally, safety is of high priority on Heron Island and all snorkelling guides are trained in first aid. Do not snorkel or swim alone or out of sight of family and friends. Do not snorkel out to the reef edge. Snorkelling is generally a safe activity. However, exercise can aggravate certain medical conditions such as asthma and heart conditions. You should only participate in the activity with this understanding. Do not snorkel in the harbour or boat channel between 8 am and 5:30 pm. While our staff strives to take guests to as many snorkelling sites as possible, all marine activities are subject to environmental conditions—to ensure maximum safety and enjoyment for everyone. Please contact our Marine Centre with your booking enquiry by phone on (07) 4972 9055 or email [email protected].